Dr David Williams heads both the Australian Venom Research Unit at the University of Melbourne, Parkville, and the Charles Campbell Toxinology Centre at the University of Papua New Guinea, Port Moresby. 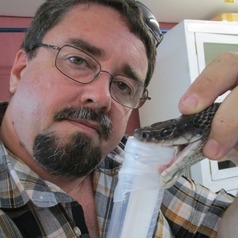 He is currently coordinating a Phase II antivenom trial at Port Moresby General Hospital and is a passionate advocate for the need to improve snakebite treatment in the developing world. As CEO of the Global Snakebite Initiative he also leads international efforts to see snakebite accorded greater priority in the public health agendas of nations where the burden is highest, particularly in Sub-Saharan Africa, Asia and Papua New Guinea.